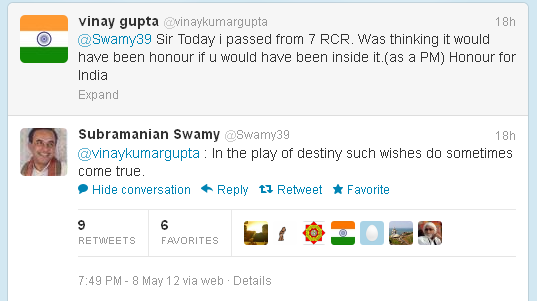 Know your Swamy: Such wishes do sometimes come true! Such wishes do sometimes come true! If destiny beckons who can stop it! He (P Chidambaram) ordered Hashimpura massacre! What else do you expect from Team Anna Naxals! Nostradamus about Swamy from Tamil Nadu? He (Amar Singh) makes a good friend! Swamy's prediction about Rupee in 2017! He (Mulayam) is like a brother for long! I can befriend China and Sri Lanka overnight! IPL is International Pimps League! 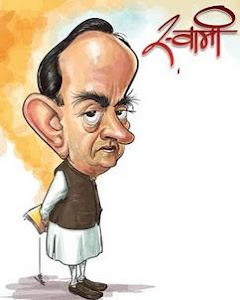 Swamy demands ban on IPL! Snap election is around the corner! PC stands for Pucca Chor! Give me the Govt. I'll fix it in 10 days ! Swamy's brother reveals 'sacred thread' story!